Following the announcement of the 2016 Short Story Prize long list, we ask the authors on the list a few questions. These short interviews aim at finding out more about the writers, and introducing them to the world. We will publish the Q & As in groups on this blog. Check here every other day. We start with Farai Mudzingwa from Zimbabwe, Catherine Shepherd from South Africa and Acidri Malunga from Uganda. What do you think is the impact of the internet on contemporary African writing? The internet makes contemporary African writing much more accessible. Social media accounts, particularly of publishers, literature festivals, competitions, fellowships and journals are the portals that direct the world to current writing and writers. Writers also connect directly with readers. What is your take on the pressure on writers of short stories to ‘upgrade’ to writing novels? The short story is its own art form. Some ideas and stories are best told or expressed in that way. I believe an expression should take whatever form comes naturally to the writer – and if that is the short story, then there should be no pressure to produce a novel instead. What Zimbabwean book would you recommend as a must-read and why? Harvest Of Thorns by Shimmer Chinodya. I read it as a set book in school. It opened my eyes to the human realities of this country’s founding war. The title is also laden with meaning given what the country has become. Where did the idea for Native Metamorphosis, the short story you submitted to Writivism, come from? It was a build up. The absurdity of life in this country keeps hitting me. Its relentless. And at that time I had just taken a road trip out of town and got back and decided I needed to share this insanity. Catherine was born in South Africa (1970) and graduated from Rhodes (1992). The end of Apartheid was the highlight of her youth. Inspired by Rachel Zadok and Writivism her stories have been published in anthologies including ‘My Holiday Shorts’ (2013), ‘My Maths Teacher Hates Me..’ and ‘Imagine Africa 500’ (2015). Her Writivism long listed story is titled ‘The Woman’s Way’. The Q & A with her follows. Why is writing from an African vantage point important, today? We have so much to learn from each other in Africa. Our vast continent has a rich and varied language and cultural heritage that many tales possibly remain unheard and untold. Exposing this treasure trove of African passion and humour will help us connect and understand one another better. Where else in Africa would you love to live, besides where you live now? I would love to live nearer to the equator where it never gets very cold and there is lots of space and wild animals. Apart from Egypt, I have only been as far as the border of Zimbabwe but would love to go further north. What do you think about contemporary decolonisation movements in South Africa? I believe it was the concept of ‘land ownership’ that changed the face of Africa. Peoples have moved across the plains of this continent for thousands of years. Now, we must focus on enlightening our own self if our children are to be truly free in this modern world. How was your experience on the Writivism mentoring programme? I was mentored by Tendai Mwanaka. It was a wonderful opportunity to work with such a prolific writer. Tendai was very patient and positive. He encouraged all of us to work together (he had 3 other mentees) which took the mentoring process to a whole new level. Writivism is a very special platform for writers. What is your favourite African novel if any, written by a woman? And why? ‘Sister Sister’ by Rachel Zadok. The beautiful writing tells the story of sisters living in a post apocalyptic Township in South Africa. The novel’s magical and yet realistic content swept me away on an emotional journey. ‘Sister Sister’ brings up current harsh societal issues many young women face today. Acidri is a 23 year old Ugandan writer and law student. He was awarded the MACOSA prize for best student in English in 2010. He writes articles and short stories in his free time and answered a few questions we posed to him. Do you belong to a Writers’ or readers’ network? I do not belong to any writers’ or readers’ network. This is because I have not been actively aware of the existing and their modes of operation. Perhaps it was due to a lack of initiative on my part. Where did the idea for ‘The Story Not Told’, the short story you submitted for the prize come from? I got the idea from the very nature of what I may call “Incomplete stories”. 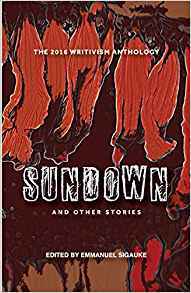 They always left a reader yearning for more and in that I saw an opportunity to craft new short stories that would seem to “complete” the main narrative. To what extent do you think that Okot P Bitek’s Song of Lawino has been influential on the Ugandan literary tradition? Song of Lawino so aptly captured the struggle between traditional culture and western civilization in Uganda, thus inspiring subsequent Ugandan writers to tell their stories without fear of being labeled as advocates of one against the other. On June 27, we announced the 2016 Writivism Short Story Prize long list. We now bring you short Q & As with the long listers.